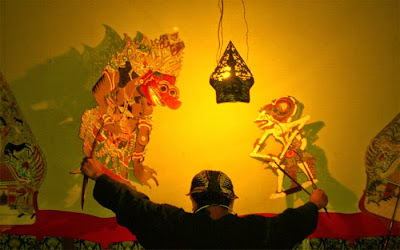 wayang kulit, are Indonesia shadow puppet, traditional art which is growing and developing in Java especially Central Java and East Java. 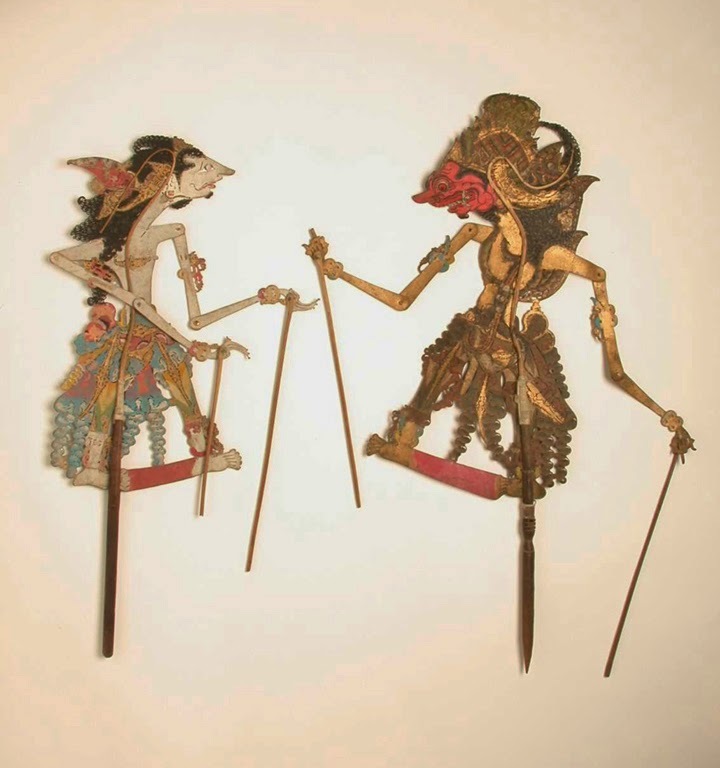 wayang kulit need to tell epic stories that often adapted from Ramayana or Mahabarata. these shadow puppet is played by a puppeteer who is also the narrator accompanied by gamelan music. in 2003 wayang kulit has been recognized by UNESCO as an amazing culture in the story narration and wonderful cultural heritage. 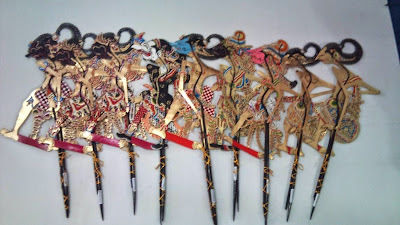 wayang kulit made from buffalo leather which is processed through several stages (tanning), after the tanning process is finished, make a sketch on the surface skin, then subsequently carved leather to make elementary form of sketches, then carved again to show the details of facial features, head dresses, jewelry and clothes. 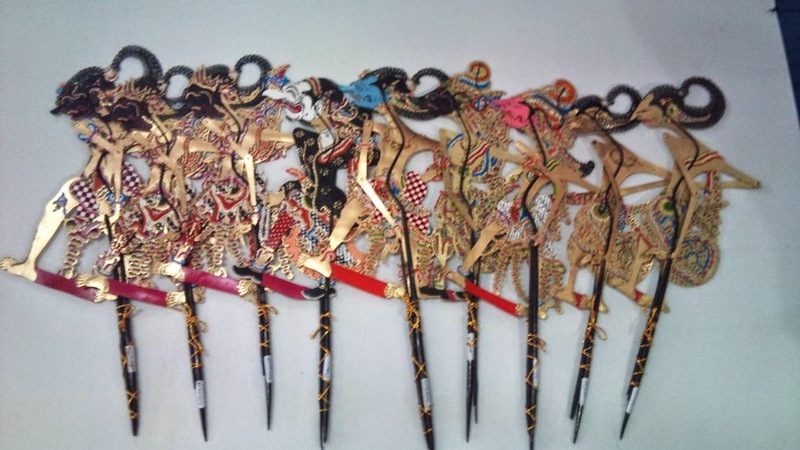 the next process is colored or painted with bright color and give a buffer from buffalo horn or bamboo.